The anchor represents unbreakable connections: forged from your heritage, passions, and beliefs. A source of strength for seafarers, the anchor empowers your inner visions and ideals. Live a life anchored in your truth. Be inspired by those around you and feel the connection to your life's true purpose with the beautiful Anchor bangle by ALEX AND ANI. 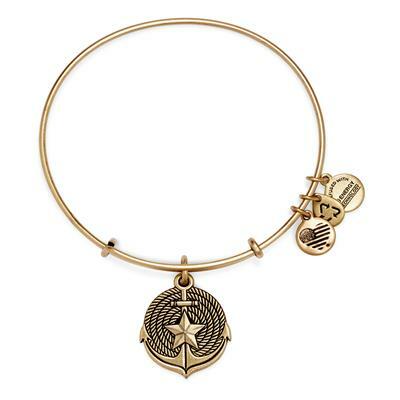 The charm hangs from Alex and Ani's Expandable Wire Bangle in a Rafaelian Gold finish. The patented sliding mechanism makes the bracelet fully adjustable and perfect for stacking!